Located in the Ol-Choro Oiroua Conservation Area which is part of the Greater Mara bordering the Masai Mara Game Reserve at the foot of the Aitong Hills. Surrounded on three sides by the Mara River. The Fairmont Mara Safari Club has opened following an extensive renovation program. Surrounded on three sides by the Mara River- and on the edge of the world's Seventh "New" Wonder of the World: the Masai Mara. 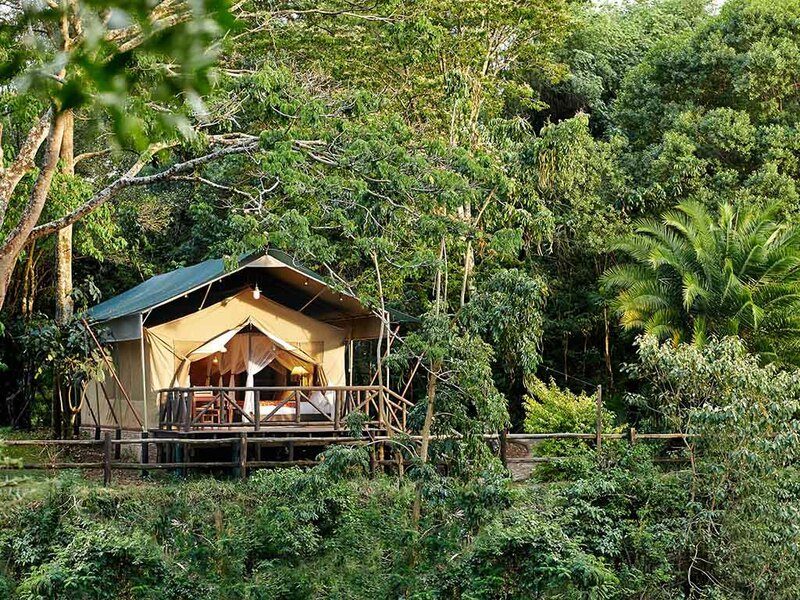 Fairmont Mara Safari Club is the epitome of tented luxury. Fairmont Mara Safari Club provides a perfect base for visiting the Masai Mara, one of the world's richest wildlife reserves, and home to an astounding array of animals including zebras, cheetahs, wildebeests, gazelles and of course the "Big Five". All day-dining restaurant with international and local cuisines made from local market ingredients. Located at the swimming pool the Pool Bar is a shaded area with bar stools set around the curved structure. Just off the bar weather permitting buffet lunches are served. Light snacks and outdoor lunches are served here.